Hope you enjoy this virtual treat!! 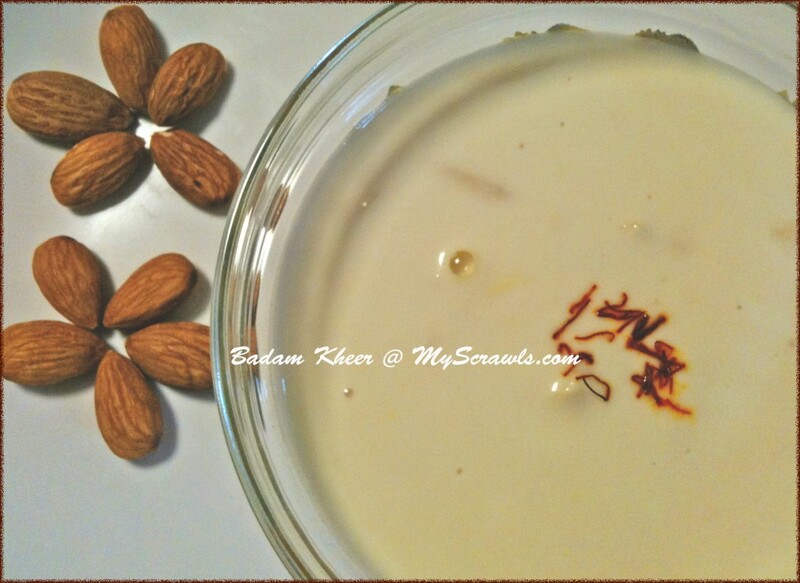 Soak the almond in hot water for about 15 mins. Remove the rind and grind it with milk. Mix the paste with the remaining milk. Heat the mixture for around 15 mins in low flame. Add the sugar and mix well till the sugar gets dissolved. Remove from the stove top and add the saffron strands.